In the history of crucifixion, the death of Jesus of Nazareth stands out as the best-known example by far. Crucifixion in antiquity was actually a fairly common punishment, but there were no known physical remains from a crucifixion. Then, in 1968, archaeologist Vassilios Tzaferis excavated a Jerusalem tomb that contained the bones of a crucified man named Yehohanan. As Tzaferis reported in BAR (see below), the discovery demonstrated the brutal reality of Roman crucifixion methods in a way that written accounts never had before. The Romans were not the only people to practice crucifixion in antiquity. The history of crucifixion extends as far back as the Assyrians, Phoenicians and Persians of the first millennium B.C., as well as some Greeks throughout the Hellenized world. Even so, the most detailed accounts are of Roman crucifixion methods. Initially the practice served only as a punishment and humiliation, usually for slaves, and did not necessarily result in death. As Roman crucifixion methods evolved, however, it became a means to execute foreign captives, rebels and fugitives. During times of war or rebellion, crucifixions could number in the hundreds or thousands. The convicted could sometimes hang in agony for days before expiring. Despite the long history of crucifixion in antiquity, the discovery of Yehohanan’s remains offered scientists the first opportunity to study the process of crucifixion and Roman crucifixion methods up close. The bones were found in an ossuary, or bone box, inscribed several times with Yehohanan’s name (“Yehohanan son of Hagakol”). This ossuary, along with several others, had been placed in a tomb complex consisting of two chambers and 12 burial niches. During the Roman period (first century B.C.–first century A.D.) Jews who could afford this type of burial would lay out the dead bodies of loved ones on stone benches in rock-cut tombs. A year later, after the flesh had desiccated, the bones were collected into an ossuary and left in the tomb with those of other family members. Below, read the original report from BAR written by Vassilios Tzaferis about his excavation of the tomb of Yehohanan in Jerusalem. 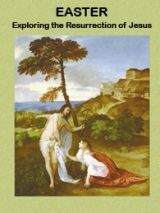 The Bible History Daily feature Roman Crucifixion Methods Reveal the History of Crucifixion includes a full “Scholars’ Corner: New Analysis of the Crucified Man,” by Hershel Shanks. Scholars have long assumed that early Christians did not depict Jesus’ crucifixion; however, a christogram symbol depicting Jesus’ crucifixion sets the date back by 150-200 years. Read The Staurogram: The earliest images of Jesus on the cross in Bible History Daily. In that year I excavated the only victim of crucifixion ever discovered. He was a Jew, of a good family, who may have been convicted of a political crime. He lived in Jerusalem shortly after the turn of the era and sometime before the Roman destruction of Jerusalem in 70 A.D. In the period following the Six Day War—when the Old City and East Jerusalem were newly under Israeli jurisdiction—a great deal of construction was undertaken. Accidental archaeological discoveries by construction crews were frequent. When that occurred, either my colleagues at the Israel Department of Antiquities and Museums or I would be called in; part of our job was to investigate these chance discoveries. In late 1968 the then Director of the Department, Dr. Avraham Biran, asked me to check some tombs that had been found northeast of Jerusalem in an area called Giv‘at ha-Mivtar. A crew from the Ministry of Housing had accidentally broken into some burial chambers and discovered the tombs. After we looked at the tombs, it was decided that I would excavate four of them. The tombs were part of a huge Jewish cemetery of the Second Temple period (second century B.C. to 70 A.D.), extending from Mt. Scopus in the east to the Sanhedriya tombs in the northwest. Like most of the tombs of this period, the particular tomb I will focus on here was cut, cave-like, into the soft limestone that abounds in Jerusalem. The tomb consisted of two rooms or chambers, each with burial niches. This particular tomb (which we call Tomb No. 1) was a typical Jewish tomb, just like many others found in Jerusalem. On the outside, in front of the entrance to the tomb, was a forecourt (which, unfortunately, had been badly damaged). The entrance itself was blocked by a stone slab and led to a large, carved-out cave chamber, nearly 10 feet square (Chamber A on the plan). On three sides of the chamber were stone benches, intentionally left by the carver of the chamber. The fourth wall contained two openings leading down to another, lower chamber (Chamber B on the plan) that was similar in design to the first but had no benches. When we found Chamber B, its entrance was still blocked with a large stone slab. Each of the two chambers contained burial niches that scholars call loculi (singular: loculus), about five to six feet long and a foot to a foot and a half wide. In Chamber A, there were four loculi and in Chamber B, eight—two on each side. In Chamber B the two loculi carved into the wall adjacent to Chamber A were cut under the floor of Chamber A. Some of the loculi were sealed by stone slabs; others were blocked by small undressed stones that had been covered with plaster. In Chamber B, in the floor by the entrance to Chamber A, a child’s bones had been buried in a small pit. The pit was covered by a flat stone slab, similar to the ossuary lids I shall describe later. Nine of the 12 loculi in the two tomb chambers contained skeletons, usually only one skeleton to a loculus. However, three of the loculi (Loculi 5, 7 and 9) contained ossuaries. Ossuaries are small boxes (about 16 to 28 inches long, 12 to 20 inches wide and 10 to 16 inches high) for the secondary burial of bones. During this period, it was customary to collect the bones of the deceased after the body had been buried for almost a year and the flesh had decomposed. The bones were then reinterred in an ossuary. The practice of collecting bones in ossuaries had a religious significance that was probably connected with a belief in the resurrection of the dead. But this custom was also a practical measure; it allowed a tomb to be used for a prolonged period. As new burials became necessary, the bones of earlier burials were removed and placed in an ossuary. Reburial in an ossuary was, however, a privilege for the few; not every Jewish family could afford them. Most families reburied the bones of their dead in pits. The use of stone ossuaries probably began during the Herodian dynasty (which began in 37 B.C.) and ended in the second half of the second century A.D.
Ossuaries discovered in the Giv‘at ha-Mivtar tombs. Made of local limestone, these ossuaries display various incised decorations. Concentric circles within a grid of squares may have symbolic meaning, or they may be merely ornamental. This ossuary contained the bones of a woman named Martha, whose name was inscribed on the opposite side. Thousands of ossuaries have been found in cemeteries around Jerusalem. Most, like the ones we found, are carved from soft local limestone. The workmanship varies. Some that we found in the tomb have a smooth finish over all their surfaces, including the lids. Others, especially the larger ossuaries, are cruder; the surfaces were left unsmoothed and the marks of the cutting tools are clearly visible. The ossuaries are variously decorated with incised lines, rosettes and sometimes inscriptions. Ossuary lids are of three types: gabled, flat and convex. We found all three types in our tomb. Often, ossuaries bear scratched marks at one end, extending onto the edge of the lid. These marks served to show how the lid was to be fitted onto the ossuary. Scratched on an ossuary found in Tomb 1 at Giv’at ha-Mivtar is a symbol that resembles an asterisk. The identical symbol on the lid shows the user how to align the lid when closing the ossuary. Of the eight ossuaries we found in this tomb, three were in situ in loculi in Chamber B; the other five were discovered in Chamber B in the middle of the floor. We also found a considerable quantity of pottery in the tomb. Because all the pottery was easily identifiable, we were able to date the tomb quite accurately. The entire assemblage can be dated with certainty between the late Hellenistic period (end of the second century B.C., about 180 B.C.) to the Roman destruction of the Second Temple (70 A.D.). However, the bulk of the pottery dates to the period following the rise of the Herodian dynasty in 37 B.C. The assemblage included so-called spindle bottlesa (probably used for aromatic balsam), globular juglets (for oil), oil lamps and even some cooking pots. The skeletal finds indicate that two generations were buried in this tomb. No doubt this was the tomb of a family of some wealth and perhaps even prominence. The eight ossuaries contained the bones of 17 different people. Each ossuary contained the bones of from one to five people. The ossuaries were usually filled to the brim with bones, male and female, adult and child, interred together. One ossuary also held a bouquet of withered flowers. Ossuaries discovered in the Giv‘at ha-Mivtar tombs. Made of local limestone, these ossuaries display various incised decorations. Six-petaled rosettes and concentric circles decorate a small ossuary that contained the bones of two children. As we shall see from the inscriptions, at least one member of this family participated in the building of Herod’s temple. But despite the wealth and achievement of its members, this family was probably not a happy one. An osteological examination showed that five of the 17 people whose bones were collected in the ossuaries died before reaching the age of seven. By age 37, 75 percent had died. Only two of the 17 lived to be more than 50. One child died of starvation, and one woman was killed when struck on the head by a mace. And one man in this family had been crucified. He was between 24 and 28 years old, according to our osteologists. Strange though it may seem, when I excavated the bones of this crucified man, I did not know how he had died. Only when the contents of Ossuary No. 4 from Chamber B of Tomb No. 1 were sent for osteological analysis was it discovered that it contained one three- or four-year-old child and a crucified man—a nail held his heel bones together. The nail was about 7 inches (17–18 cm) long. Ptolemies (the rulers of the Egyptian half). The traditional method of execution among Jews was stoning. Nevertheless, crucifixion was occasionally employed by Jewish tyrants during the Hasmonean period. According to Josephus,2 Alexander Jannaeus crucified 800 Jews on a single day during the revolt against the census of 7 A.D.
At the end of the first century B.C., the Romans adopted crucifixion as an official punishment for non-Romans for certain legally limited transgressions. Initially, it was employed not as a method of execution, but only as a punishment. Moreover, only slaves convicted of certain crimes were punished by crucifixion. During this early period, a wooden beam, known as a furca or patibulum was placed on the slave’s neck and bound to his arms. The slave was then required to march through the neighborhood proclaiming his offense. This march was intended as an expiation and humiliation. Later, the slave was also stripped and scourged, increasing both the punishment and the humiliation. Still later, instead of walking with his arms tied to the wooden beam, the slave was tied to a vertical stake. Because the main purpose of this practice was to punish, humiliate and frighten disobedient slaves, the practice did not necessarily result in death. Only in later times, probably in the first century B.C., did crucifixion evolve into a method of execution for conviction of certain crimes. Initially, crucifixion was known as the punishment of the slaves. Later, it was used to punish foreign captives, rebels and fugitives, especially during times of war and rebellion. Captured enemies and rebels were crucified in masses. Accounts of the suppression of the revolt of Spartacus in 71 B.C. tell how the Roman army lined the road from Capua to Rome with 6,000 crucified rebels on 6,000 crosses. After the Romans quelled the relatively minor rebellion in Judea in 7 A.D. triggered by the death of King Herod, Quintilius Varus, the Roman Legate of Syria, crucified 2,000 Jews in Jerusalem. During Titus’s siege of Jerusalem in 70 A.D., Roman troops crucified as many as 500 Jews a day for several months. In times of war and rebellion when hundreds and even thousands of people were crucified within a short period, little if any attention was paid to the way the crucifixion was carried out. Crosses were haphazardly constructed, and executioners were impressed from the ranks of Roman legionaries. In peacetime, crucifixions were carried out according to certain rules, by special persons authorized by the Roman courts. Crucifixions took place at specific locations, for example, in particular fields in Rome and on the Golgotha in Jerusalem. Outside of Italy, the Roman procurators alone possessed authority to impose the death penalty. Thus, when a local provincial court prescribed the death penalty, the consent of the Roman procurator had to be obtained in order to carry out the sentence. Once a defendant was found guilty and was condemned to be crucified, the execution was supervised by an official known as the Carnifix Serarum. From the tribunal hall, the victim was taken outside, stripped, bound to a column and scourged. The scourging was done with either a stick or a flagellum, a Roman instrument with a short handle to which several long, thick thongs had been attached. On the ends of the leather thongs were lead or bone tips. Although the number of strokes imposed was not fixed, care was taken not to kill the victim. Following the beating, the horizontal beam was placed upon the condemned man’s shoulders, and he began the long, grueling march to the execution site, usually outside the city walls. A soldier at the head of the procession carried the titulus, an inscription written on wood, which stated the defendant’s name and the crime for which he had been condemned. Later, this titulus was fastened to the victim’s cross. When the procession arrived at the execution site, a vertical stake was fixed into the ground. Sometimes the victim was attached to the cross only with ropes. In such a case, the patibulum or crossbeam, to which the victim’s arms were already bound, was simply affixed to the vertical beam; the victim’s feet were then bound to the stake with a few turns of the rope. If the victim was attached by nails, he was laid on the ground, with his shoulders on the crossbeam. His arms were held out and nailed to the two ends of the crossbeam, which was then raised and fixed on top of the vertical beam. The victim’s feet were then nailed down against this vertical stake. Without any supplementary body support, the victim would die from muscular spasms and asphyxia in a very short time, certainly within two or three hours. Shortly after being raised on the cross, breathing would become difficult; to get his breath, the victim would attempt to draw himself up on his arms. Initially he would be able to hold himself up for 30 to 60 seconds, but this movement would quickly become increasingly difficult. As he became weaker, the victim would be unable to pull himself up and death would ensue within a few hours. Using this historical background and the archaeological evidence, it is possible to reconstruct the crucifixion of the man whose bones I excavated at Giv‘at ha-Mivtar. The most dramatic evidence that this young man was crucified was the nail which penetrated his heel bones. But for this nail, we might never have discovered that the young man had died in this way. The nail was preserved only because it hit a hard knot when it was pounded into the olive wood upright of the cross. The olive wood knot was so hard that, as the blows on the nail became heavier, the end of the nail bent and curled. We found a bit of the olive wood (between 1 and 2 cm) on the tip of the nail. This wood had probably been forced out of the knot where the curled nail hooked into it. When it came time for the dead victim to be removed from the cross, the executioners could not pull out this nail, bent as it was within the cross. The only way to remove the body was to take an ax or hatchet and amputate the feet. Thereafter, the feet, the nail and a plaque of wood that had been fastened between the head of the nail and the feet remained attached to one another as we found them in Ossuary No. 4. Under the head of the nail, the osteological investigators found the remains of this wooden plaque, made of either acacia or pistacia wood. The wood attached to the curled end of the nail that had penetrated the upright of the cross was, by contrast, olive wood. A word about the conditions under which the bones in the ossuaries were studied might be appropriate here. The medical team that studied the bones was given only four weeks to conduct their examination before the bones were reburied in a modern ceremony. Certain long-term preservation procedures were therefore impossible, and this precluded certain kinds of measurements and comparative studies. In the case of the crucified man, however, the investigators were given an additional period of time to study the materials, and it was during this period that the detailed conditions described here were discovered. When removed from the tomb chamber, each of the eight ossuaries was one-third filled with a syrupy fluid. Strangely enough, the considerable moisture in the ossuaries resulted in a peculiar kind of preservation of the packed bones. The bones immersed in the fluid at the bottom of the ossuaries were coated with a limy sediment. As a result, the nailed heel bones were preserved in relatively good condition. Nevertheless, the overall condition of the bones must be described as fragile. Before they were studied, the bones were first dehydrated and then impregnated with a preservative. Only then could they be measured and photographed. 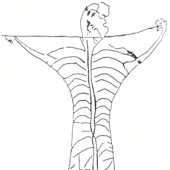 Despite these limiting conditions, a detailed and very human picture of the crucified man gradually emerged. At 5 feet 6 inches (167 cm) tall, this young man in his mid- to late-twenties stood at about the mean height for Mediterranean people of the time. His limb bones were fine, slender, graceful and harmonious. The muscles that had been attached to his limb bones were lean, pointing to moderate muscular activity, both in childhood and after maturity. Apparently he never engaged in heavy physical labor. We can tell that he had never been seriously injured before his crucifixion, because investigators found no pathological deformations or any traumatic bony lesions. His bones indicated no marks of any disease or nutritional deficiency. The young man’s face, however, was unusual. He had a cleft right palate—a congenital anomaly which was also associated with the congenital absence of the right upper canine tooth and the deformed position of several other teeth. In addition, his facial skeleton was asymmetric, slanting slightly from one side to the other (plagiocephaly). The eye sockets were at slightly different heights, as were the nasal apertures. There were differences between the left and right branches of the lower jaw bone, and the forehead was more flattened on the right side than on the left. Some of these asymmetries have a direct association with the cleft palate. The majority of modern medical scholars ascribe a cleft palate (and some associated asymmetries of the face) not to a genetic factor but to a critical change in the manner of life of the pregnant woman in the first two or three weeks of pregnancy. This critical change has frequently been identified as an unexpected deterioration in the woman’s diet, in association with psychical stress. Statistically, this malformation occurs more frequently in chronically undernourished and underprivileged families than in the well-situated. But some catastrophe could cause sudden stress in the life of a well-to-do woman as well. Other asymmetries of the facial skeleton may be attributable to disturbances in the final period of pregnancy or difficulties in delivery. Thus, our medical experts conjectured two prenatal crises in the life of this crucified man: one in the first few weeks of his mother’s pregnancy and the other, a most difficult birth. To help determine the appearance of the face, the team of anatomical experts took 38 anthropological measurements, 28 other measurements, and determined four cranial indices. The general shape of the facial skeleton, including the forehead, was five-sided. Excluding the forehead, the face was triangular, tapering below eye level. The nasal bones were large, curved, tight in the upper region and coarse in the lower part. The man’s nose was curved and his chin robust, altogether a mild-featured facial skeleton. Despite the prenatal anomalies, the man’s face must have been quite pleasant, although some might say that it must have been a bit wild. His defects were doubtless almost imperceptible, hidden by his hair, beard and moustache. His body was proportionate, agreeable and graceful, particularly in motion. “Simon, builder of the Temple.” The inscription on this ossuary found in the same Jewish tomb with the ossuary of Yehohanan tells posterity the part Simon played in history. Eight ossuaries containing the bones of 17 members of Simon and Yehohanan’s family were found in this tomb. Since not all families could afford limestone ossuaries for secondary burials, we know that this was a family of some wealth. We may conjecture that during this turbulent period of history, our crucified man was sentenced to die by crucifixion for some political crime. His remains reveal the horrible manner of his dying. From the way in which the bones were attached, we can infer the man’s position on the cross. The two heel bones were attached on their adjacent inside (medial) surfaces. The nail went through the right heel bone and then the left. Since the same nail went through both heels, the legs were together, not apart, on the cross. A study of the two heel bones and the nail that penetrated them at an oblique angle pointing downward and sideways indicates that the feet of the victim were not fastened tightly to the cross. A small seat, or sedile must have been fastened to the upright of the cross. The evidence as to the position of the body on the cross convinced the investigators that the sedile supported only the man’s left buttock. This seat both prevented the collapse of the body and prolonged the agony. Given this position on the cross and given the way in which the heel bones were attached to the cross, it seems likely that the knees were bent, or semi-flexed, as in the drawing. This position of the legs was dramatically confirmed by a study of the long bones below the knees, the tibia or shinbone and the fibula behind it. Only the tibia of the crucified man’s right leg was available for study. The bone had been brutally fractured into large, sharp slivers. This fracture was clearly produced by a single, strong blow. The left calf bones were lying across the sharp edge of the wooden cross, and the percussion from the blow on the right calf bones passed into the left calf bones, producing a harsh and severing blow to them as well. The left calf bones broke in a straight, sharp-toothed line on the edge of the cross, a line characteristic of a fresh bone fracture. This fracture resulted from the pressure on both sides of the bone—on one side from the direct blow on the right leg and on the other from the resistance of the edge of the cross. The angle of the line of fracture on these left calf bones provides proof that the victim’s legs were in a semi-flexed position on the cross. The angle of the fracture indicates that the bones formed an angle of 60° to 65° as they crossed the upright of the cross. This compels the interpretation that the legs were semi-flexed. When we add this evidence to that of the nail and the way in which the heel bones were attached to the cross, we must conclude that this position into which the victim’s body was forced was both difficult and unnatural. The arm bones of the victim revealed the manner in which they were attached to the horizontal bar of the cross. A small scratch was observed on one bone (the radius) of the right forearm, just above the wrist. The scratch was produced by the compression, friction and gliding of an object on the fresh bone. This scratch is the osteological evidence of the penetration of the nail between the two bones of the forearm, the radius and the ulna. The position of the crucified body may then be described as follows: The feet were joined almost parallel, both transfixed by the same nail at the heels, with the legs adjacent; the knees were doubled, the right one overlapping the left; the trunk was contorted and seated on a sedile; the upper limbs were stretched out, each stabbed by a nail in the forearm. The victim’s broken legs not only provided crucial evidence for the position on the cross, but they also provide evidence for a Palestinian variation of Roman crucifixion—at least as applied to Jews. Normally, the Romans left the crucified person undisturbed to die slowly of sheer physical exhaustion leading to asphyxia. However, Jewish tradition required burial on the day of execution. Therefore, in Palestine the executioner would break the legs of the crucified person in order to hasten his death and thus permit burial before nightfall. This practice, described in the Gospels in reference to the two thieves who were crucified with Jesus (John 19:18), has now been archaeologically confirmed.d Since the victim we excavated was a Jew, we may conclude that the executioners broke his legs on purpose in order to accelerate his death and allow his family to bury him before nightfall in accordance with Jewish custom. the family, it is unlikely that he was a common thief. More likely, he was crucified for political crimes or seditious activities directed against the Roman authorities. Apparently, this Jewish family had two or three sons active in the political, religious and social life of Jerusalem at the end of the Second Temple period. One (Simon) was active in the reconstruction of the Temple. Another (Yehonathan) was a potter. The third son may have been active in anti-Roman political activities, for which he was crucified. For further details, see Vassilios Tzaferis, “Jewish Tombs at and near Giv‘at ha-Mivtar, Jerusalem,” Israel Exploration Journal 20/1, 2 (1970), pp. 18–32; Nico Haas, “Anthropological Observations on the Skeletal Remains from Giv‘at ha-Mivtar,” Israel Exploration Journal 20/1, 2 (1970), pp. 38–59; and Joseph Naveh, “The Ossuary Inscriptions from Giv‘at ha-Mivtar,” Israel Exploration Journal 20/1, 2 (1970), pp. 33–37. See also, for a different hypothesis as to the position of Yehohanan on the cross, Yigael Yadin, “Epigraphy and Crucifixion,” Israel Exploration Journal 23 (1973), pp. 18–22. On the history of crucifixion, see Pierre Barbet, A Doctor at Calvary (Image Books, 1963). Also, be sure to read the Scholars’ Corner: New Analysis of the Crucified Man by Hershel Shanks, discussing the scholarly responses to Vassilios Tzaferis’ article. 3. Appian, B. Civ. I, 120.
a. A spindle bottle resembles a cylinder that bulges at its midsection. b. A medical team from the Department of Anatomy at the Hebrew University Hadassah Medical School, headed by Dr. Nico Haas, made an intensive, if brief, study of the bones. c. Early Christian artists, although frequently representing events from the life of Jesus, refrained from drawing scenes of the crucifixion during the first 500 years of Christian history. The earliest Christian representation of the crucifixion dates to the late fifth or early sixth centuries A.D., i.e., about 200 years after crucifixion was legally abolished by the emperor Constantine the Great. d. In John 19:34, a lance is plunged into Jesus’ heart. This was not intended as the death blow but as a post mortem blow inflicted in order to testify to the victim’s death. Only after this testimonial was obtained was the body removed from the cross and handed over to the victim’s relatives for burial. The blow to the heart proved beyond doubt that the victim was indeed dead. Born on the Isle of Samos, in Greece, Vassilios Tzaferis received a Ph.D. from Hebrew University in Jerusalem. He has directed many excavations, including those at Ashkelon, Tiberius, Beth Shean, Capernaum and at various locations in Jerusalem. 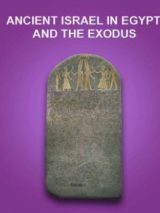 “Crucifixion—The Archaeological Evidence” by Vassilios Tzaferis originally appeared in Biblical Archaeology Review, Jan/Feb 1985, 44-53. There was an update to these findings in the 1980’s. It purports that the arms were tied with rope (because the damage to the forearms were only scratches). Tying the arms to a cross was not uncommon. Check the Wikipedia page for this. It explains more. Note 2 is in error, it refers to Herod getting help from the Romans. And wasn’t Jannaeus decades dead before 7 AD? Alicia have you really read this article? And did you read the Bible? It states that the victim was 21. I would suggest that Yhwhnn bn hgqwl, “Yehohanan, son of HGQWL” is a reference to Yehohanan, son of the High Priest…Yehohonan (john or jonathan) bn (son) hgqwl, “hagodel” (priest)……John the Baptist historically was the son of the High Priest during his time, which means he was a priest himself. Very interesting crucifixion article. Wow! A fascinating read, but how can there be so many sides to a story that is supposedly true. I am looking for the definition of the sideways cross and what it can mean to different religions and cultures.